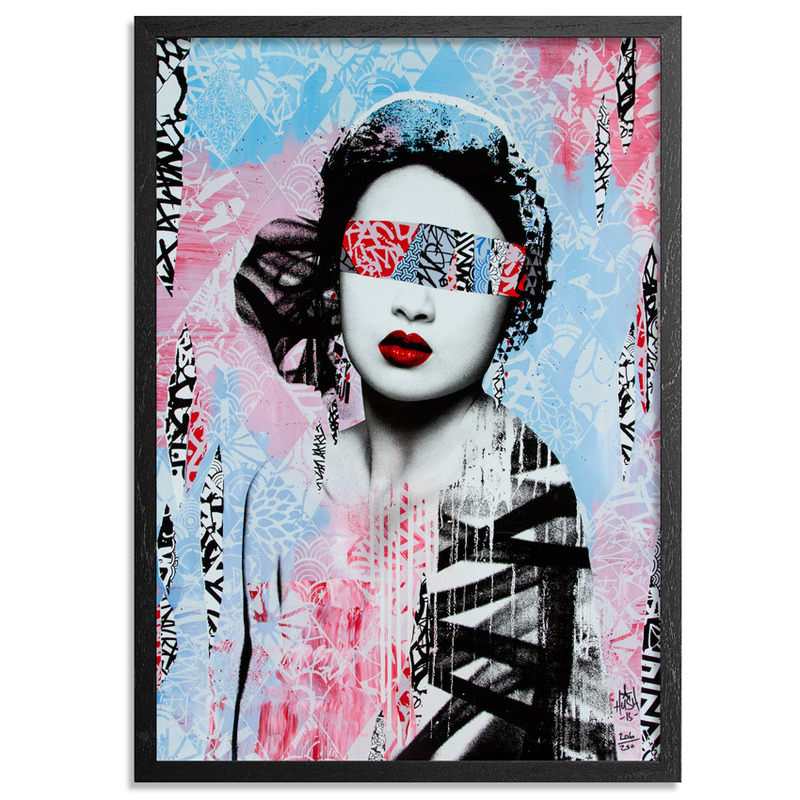 This RUN comes signed and numbered by Hush. 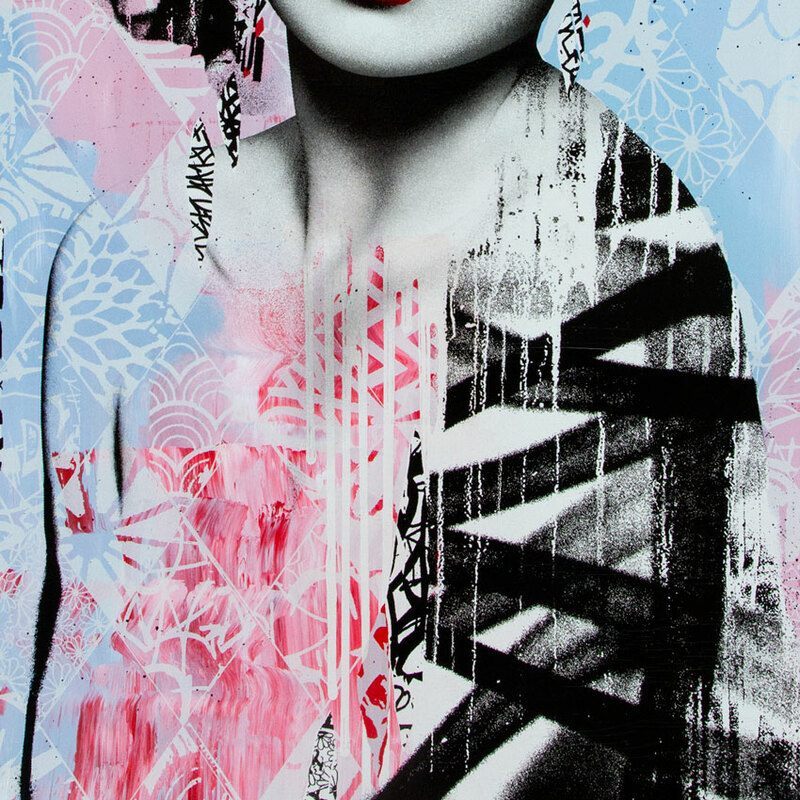 Japanese artist Hush mixes techniques of collage, graffiti, stencil, painting and drawing to create his geisha inspired works. These women are dressed in vibrant patterns which bring new life to an ancient Japanese tradition. We notice detail in her clothing, this being the one area where color is used. 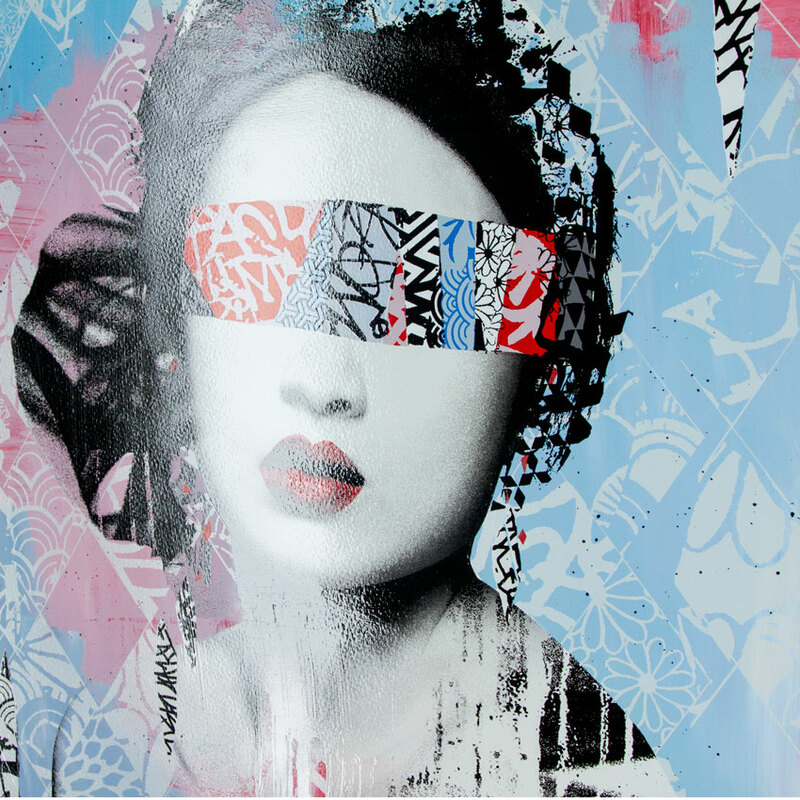 If we take a closer look at these works, we can tell that Hush really has created a seamless blend of old and new. 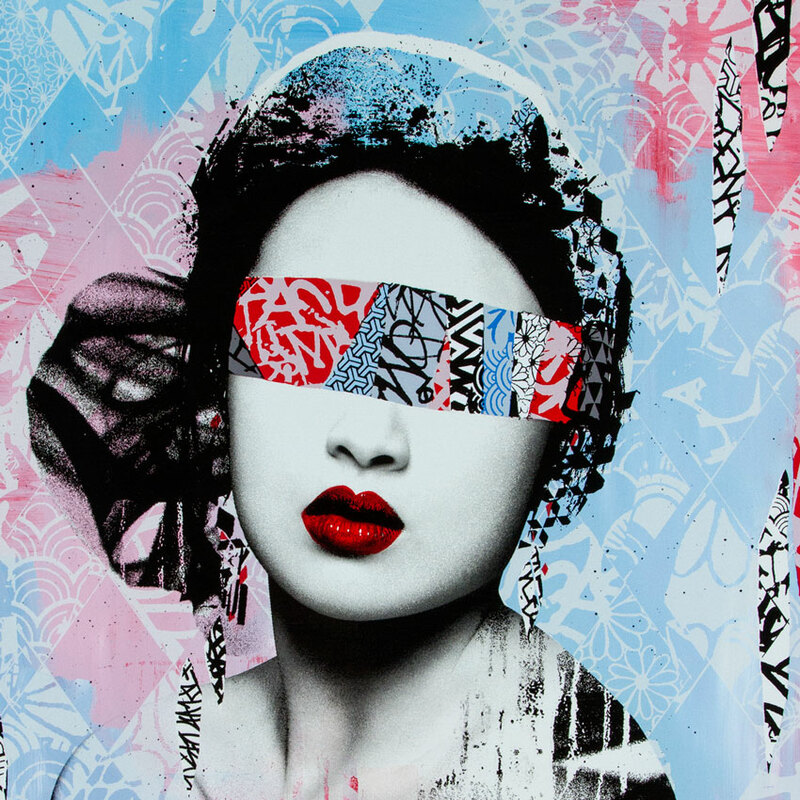 Traditional japanese colors and prints are used right alongside modern graffiti style writing cleverly disguised as fabric.